Adam Matthews, who leads the international development stream of the Centre for Digital Built Britain (CDBB), sets out the global scope of the Digital Built Britain programme. The aim of the international programme is to grow the awareness and adoption of a common approach to BIM globally. We work with governments and policy makers overseas to present the value proposition of adopting a standards-based approach to BIM using international and UK developed best practices, standards and tools. Our objective is to enable collaboration across countries, increase understanding of the process that is BIM and, importantly, help to create trade opportunities with these nations and the UK. Globally, economies benefit by adopting a common approach to the introduction of BIM – by creating smoother trading conditions across borders, fostering greater collaboration and supports multi-region team-working. For the UK, having a global approach to BIM which leans on the UK’s BIM Level 2 standards and principles creates opportunities for professional service providers and product manufacturers that want to work internationally. This enables us to share skills and techniques across the world – in Europe, Latin America, Asia, North America and Africa. There are, of course, challenges. One of these is the increasing demand from governments and policy makers around the world who are coming to us to share our learned BIM experience. 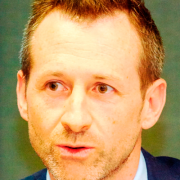 Richard Lane is the delivery manager for the international programme and he supports capacity development. We provide training programmes for other governments to support understanding of how the UK programme works and, critically, what lessons learned can be taken from the UK and other international experiences that can be adapted and adopted in those partner countries – to paraphrase the ISO tag-line: “Great things can happen when we all agree”. Our international programme has secured significant achievements to date, including: recognition of the UK’s global leadership in the use of BIM; national level memorandum of understanding (MOU) and collaboration with Latin American countries, including Brazil, Chile and Mexico and with Asian countries. ; and the formation of the EU BIM Task Group under the European Commission in 2015. 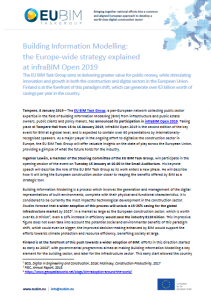 Importantly, these early successes resulted in our contribution, in 2017, to formulating the EU BIM Handbook that contains a set of recommendations to public sector clients and policy makers when adopting BIM into their public estates. The focus for 2018 is to disseminate this learning across Europe and to develop training packages for public sector clients who want to learn more. According to McKinsey, 98 per cent of major projects globally overrun and $1.6tn can be saved if this problem is solved. Productivity improvement is a goal of many governments around the world; Boston Consulting Group (BCG) estimates that the introduction of digital construction techniques – using Building Information Modelling, or BIM – would bring productivity savings of up to 21 per cent by 2025. The CDBB international programme is gaining momentum and the benefits can be shared. We have a once-in-a-generation opportunity to, at this stage of BIM development, all agree on the foundations of how to define it as a process in public procurement and contractually. 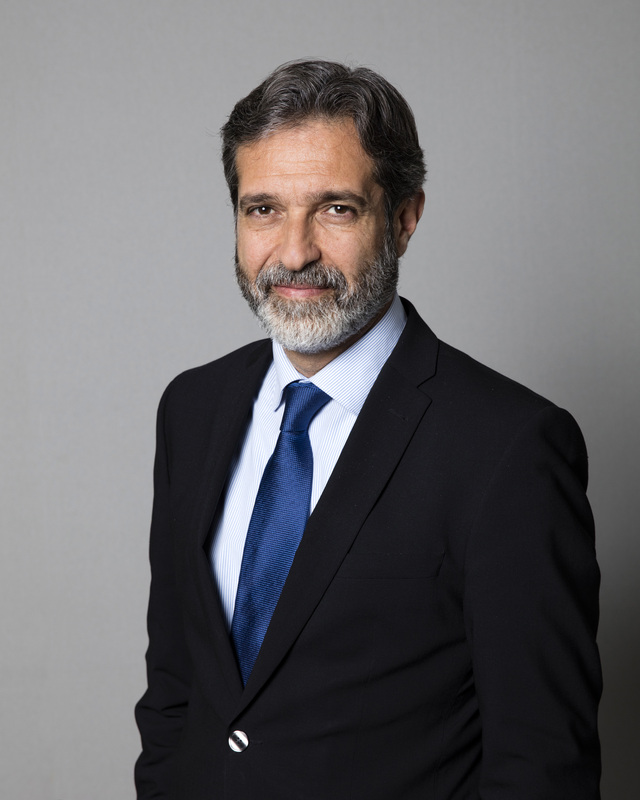 If we can agree on the principles – while the in-country definitions may differ slightly – the wider agreement delivers consistency that brings a shared opportunity to all work together in this global digital construction transformation. We are currently working with the European Commission to translate the Handbook into 14 European languages. We have not yet confirmed a date for when each version will be available, but these will be published over the next few months on our website, with a view to having all 14 languages published before the end of 2017. The introduction of Building Information Modelling (BIM) represents the construction sector’s moment of digitalisation. It is undisputed that the wider use of technology, digital processes, automation and higher-skilled workers contribute greatly to our economic, social and environmental future. 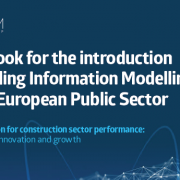 Brussels, 6th July: The EU BIM Task Group will launch their “Handbook for the Introduction of Building Information Modelling by the European Public Sector”. Why have governments taken action to support and encourage BIM? 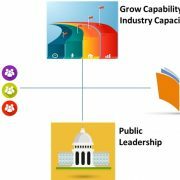 How can governments and public clients provide leadership and work together with industry? Why is public leadership and European alignment critical? What is BIM? And what is the common European definition? The handbook aims to create alignment across the public and private sector for the introduction of BIM to Europe in order to stimulate growth and create open markets. EU BIM Task Group representatives will be attending the European Commission’s construction conference “Let’s build changes!’ in Brussels on 6th July to launch the handbook. 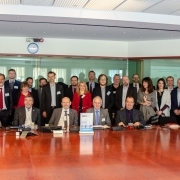 The EU BIM Task Group has been awarded an industry prize for the promotion of BIM in Europe. The prize was awarded for pioneering work on an aligned introduction of BIM to Europe to drive competitiveness and whole life cycle improvements. 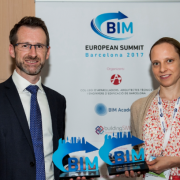 The prize was awarded by the European BIM Summit (EBS) at their event in Barcelona on 26th May 2017 with over 500 global attendees, including 37 associations from Government regional and sub-secretaries. The EBS includes an Honours Committee and Strategic Committee with representatives from European associations; and international representation from the US and Latin America. The EU BIM Task Group received this award jointly with the European Commission (Directorate-General for Internal Market, Industry, Entrepreneurship and SMEs). The award was received by Adam Matthews (Chair of the EU BIM Task Group) and Elisabeth Hamdouch (Deputy Head of Unit – Internal Market, Industry, Entrepreneurship and SMEs). Jorge Torrico also attended, representing Spain’s delegation. Adam Matthews thanked the 60+ task group participants across 22 countries, especially the Steering Group members for their contributions. He also thanked the European Commission and UK Government for their support and financial assistance to the programme. 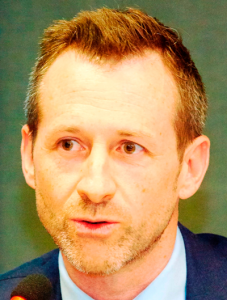 In a two-part interview in UK Construction Online, Adam Matthews, chair of the EU BIM Task Group, talks about the the European Common Network, the drive for BIM, and Brexit and BIM. In Part I, Adam is asked How is the European Common Network developing? We have just completed a survey of European practices by public stakeholders and now starting to draft a guide for public procurers on BIM. This BIM handbook will make recommendations for good practice based on the current European experience. Do you think the EU would ever have a BIM mandate? Mandate is a strong word. Technically the UK BIM ‘mandate’ is policy encouragement to the UK’s public construction client group to require the delivery of BIM information on centrally funded projects. It is not easy to see how a single BIM mandate would be applied across Europe – however, do I see common approaches and requirements for BIM being adopted by European governments and public clients? Yes, absolutely. And looking forward, I see these requirements aligning across Europe. Over the next three to five years it is likely there will be a growing momentum of consistent BIM requirements in public tenders at national and public estate levels. We are beginning to see this already. Clients are recognising it is not enough simply to request “It should be BIM” in public tenders: they want to specify standard digital information datasets at key project milestones. What impact will Brexit have on closer collaboration with BIM in Europe? In my view, the collaboration has been a European exercise, not just EU – it actually includes members of the EFTA (European Free Trade Association) such as Norway (a leading partner in the project) and Iceland. With regards to Brexit, the EU BIM Task Group is a two year project until end of 2017 which would mean the UK will be a full EU member at that time. And the goal of the group is to align the European approach to introduction of BIM. Beyond Europe, there is recognition that BIM is a global language – construction will transform to a global ‘digital construction’ sector over the next five to ten years. The group is collaborating to place the European sector to compete effectively in this market. I would add that it is a European success – nations sharing approaches and implementation descriptions in order to agree a common performance level to describe what BIM is to encourage trade across borders. It continues to be a positive and collaborative experience. In Part II, Adam answers Where would you say the majority of countries are on their BIM journey? This will be answered more fully in the report of the survey recently conducted. I wouldn’t want to pre-empt its findings and conclusions. However, the group recognises that there is a full range from those just starting to explore what BIM means to a public stakeholder/client to those like Norway, UK and Netherlands that are implementing their programme with industry. What is remarkable has been the journey since 2013, where we started the group with a just handful of nations with active programmes to now – with over 20 nations involved and the European Commission on-board. I think that speaks volumes about the recognition of the value proposition of BIM to the public sector. … For me, one of the most impressive things about the EU BIM Task Group is that all nations are approaching with an open mind and prepared to debate different aspects of adoption and there is no sense at this time of protecting national positions to the detriment of harmonisation. After all, BIM is just part of a broader digital transition across governments, across Europe and across the world. 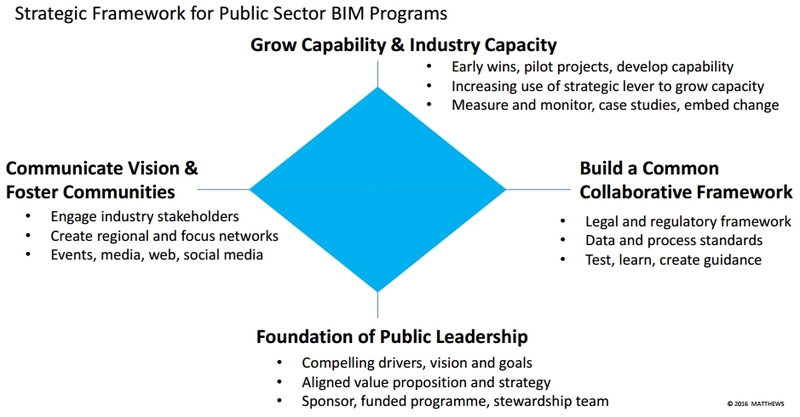 I have started to think about how countries might develop national public sector BIM programmes. Starting at the bottom of the diagram (right) and moving clockwise, my thesis is that successful BIM programmes require a strong foundation of public leadership and support. In the UK in 2011, for example, the UK Government make BIM a key part of its construction strategy, and set a target for the first phase of adoption of BIM. This in turn led to the growth of various BIM interest groups. Existing industry stakeholders – professional institutions, trade organisations, industry confederations, and other groups representing both pan-industry interests and vertical industry sectors – began to build BIM-focused communities. Regional BIM groups also began to develop. These communities were encouraged to hold events and also to share their ideas, knowledge and skills via printed media, the web, social media, etc. From general introductions and explanations of BIM to detailed protocols for BIM implementation, core industry understanding was quickly developed and disseminated across an otherwise fragmented and geographically dispersed industry sector. Talking about BIM is all very well, but “walking the talk” is vital. The UK’s BIM Task Group, in partnership with various central government departments and other leading industry clients, instigated pilot projects to test the processes and protocols, and to gauge if supply chain knowledge and skills in BIM were sufficiently developed – in short, to demonstrate the industry’s capabilities. Learning – good and bad – from these case studies was then shared via the trade press, industry conferences and via the internet. As a result of these first three steps, what began to develop was a wider understanding of the required legal and regulatory framework, new data and process standards, and industry-proven guidance on all the key areas of BIM implementation and exploitation. However, the process does not stop once the initial capabilities and collaborative frameworks are in place. Continuous performance improvement is very much the objective – and public leadership is again pivotal in providing a new vision of the industry’s future (in the UK, this was outlined in the February 2015 strategy, Digital Built Britain, and reinforced in the next five-year government construction strategy covering the years 2016 to 2020). And so the cycle continues…. 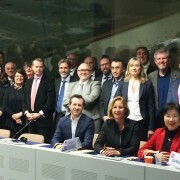 Fifteen European countries sent delegates to a meeting in Brussels last week of the EU BIM Task Group, a group working towards Europe-wide convergence on BIM standards (reports UK website BIM+). Representatives of public sector client organisations, policy units and national task groups for the UK, Italy, Portugal, Norway, Iceland, Denmark, Sweden, Finland, Estonia, Slovakia, Austria, Germany, the Netherlands, France and Iceland all attended the meeting, held at the European Commission’s conference centre. The group has previously met three times on a voluntary basis, but this time it was facilitated by the European Commission, which provided the conference room and interpreters. Further meetings are planned later this year and up to the middle of 2016. The UK was also represented by Mark Bew, chair of the UK BIM Task Group, and Task Group member Barry Blackwell from the Department for Business, Innovation and Skills. Germany’s delegates included Arup’s Ilka May, recently appointed as chief executive of its industry-led “Planen-Bauen 4.0” BIM Task Group. He identified three areas of interest: technical best practice; client leadership; and cultural and people issues, such as skills development and change management. Two delegates from Hong Kong were also present as observers, with Ada Fung representing the Ministry of Housing and Ivan Ko the local Construction Industry Council. “It shows the level of interest from the Asia Pacific region to collaborate and help create a global common market – it’s becoming a global conversation,” Matthews said.